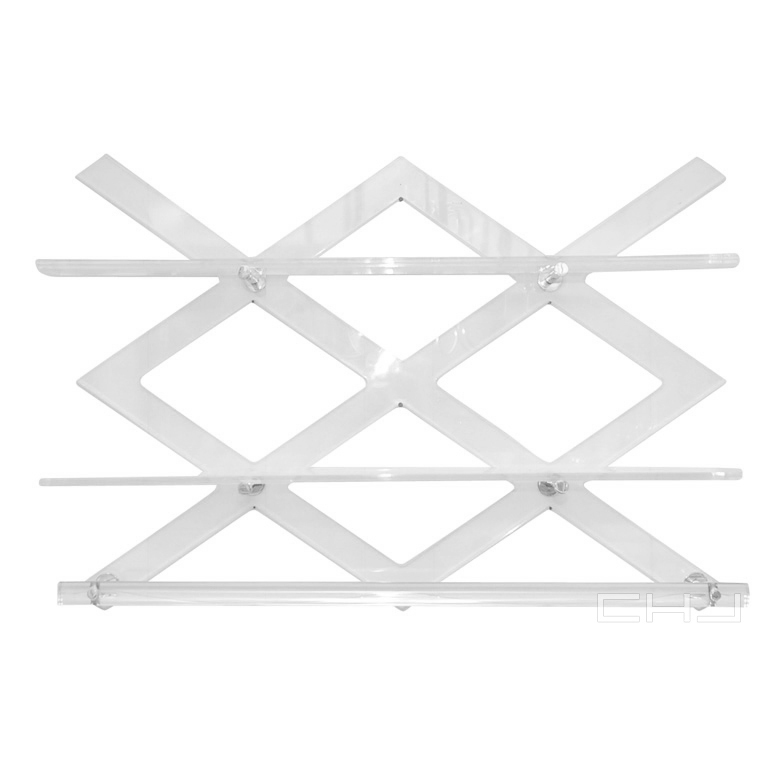 The Lattice Wall Rack is part of the Ball line. The Ball line was named after Lucille Ball because of her affinity for this line. This line had an emphasis on gracefulness, softness, and delicacy – much inspired by the curves of a woman’s body. In addition to being an admirer, she also collected several pieces of the ball line. The ball line is recognized most dominantly by it’s motif of the ball shape used to fasten, connect, and hide the screws and bolts of this line.